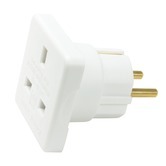 White UK 3 pin socket to 2 pin european mains plug adaptor. Please note: The 2 pin european plug has two pins and a hole for an earth pin. i.e. 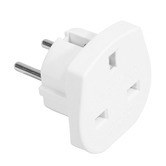 in some countries eg. 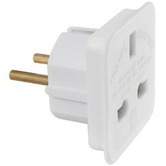 France these adaptors may need to be plugged in 'upside down'. 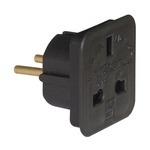 Suitable for use with both UK mains plugs and mains power supply adaptors, rated up to 7.5 amps. 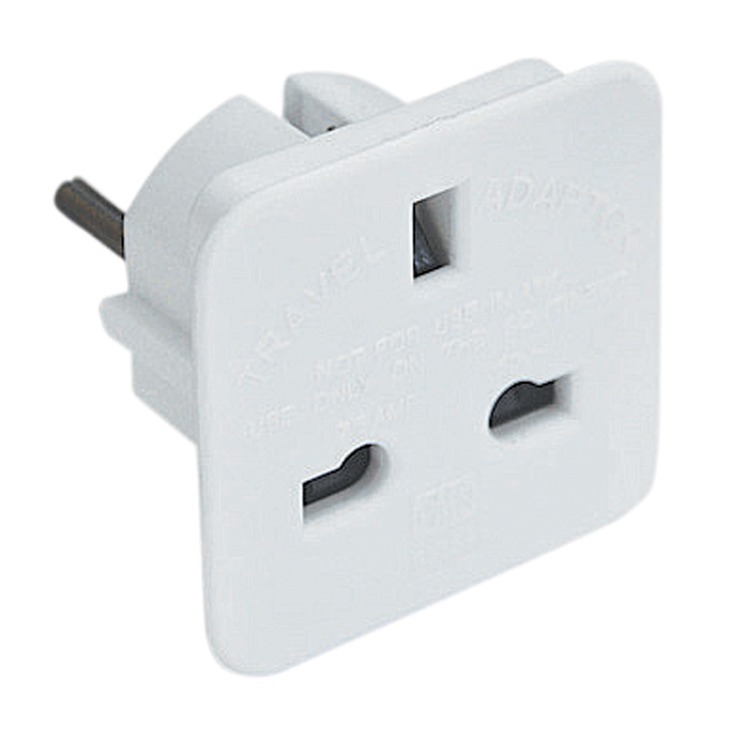 The fit of the UK plug is quite tight so you should have a good connection into a European mains wall socket.